The Fox Snake Research Project was headed by Angela Coxon and Glen Cunnington between 2001 and 2002. 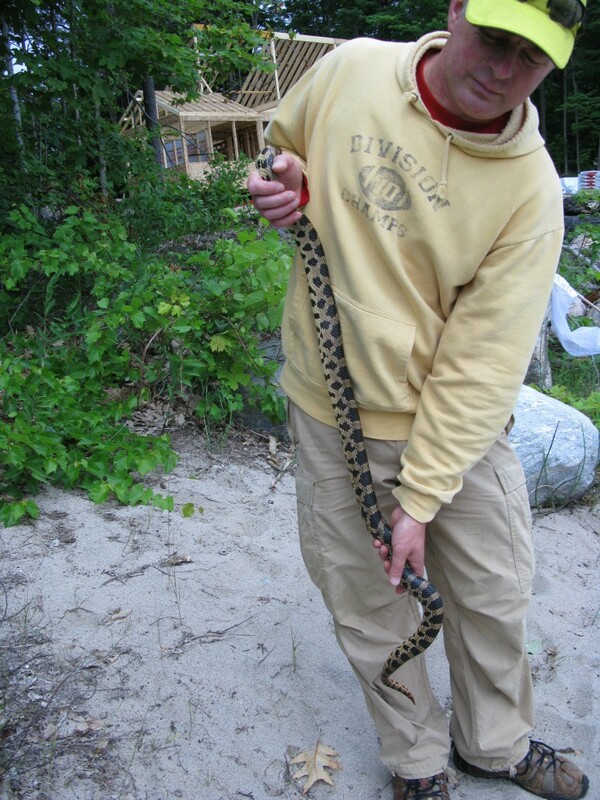 The Eastern Foxsnake is Ontario’s second largest snake, reaching lengths up to 179cm. It is a brownish-yellow snake with large black or dark brown blotches on its back that alternate with smaller blotches along its sides. The head is orangish copper-brown colour with no markings, and the belly is pale yellow with a black checkerboard pattern. Juvenile fox snakes are a grayish colour with reddish-brown blotches and have a dark cross band on the head, which extends from the eyes back to the lower jaw. The fox snake is a constrictor, with small rodents, birds, and frogs as its primary prey. The global distribution of the Eastern Fox Snake (Elaphe vulpina gloydi), is restricted to the Great Lakes Region of North America. 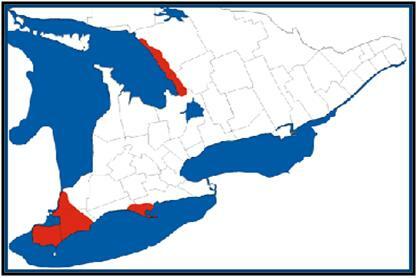 Seventy percent of this range occurs in Ontario, where this threatened species is represented in three main populations located along the shores of Lakes Erie and Huron. Eastern Georgian Bay represents one of the last relatively undisturbed habitats for the Eastern Fox Snake. Current range of the eastern fox snake in Ontario. With permission of the Royal Ontario Museum © ROM. 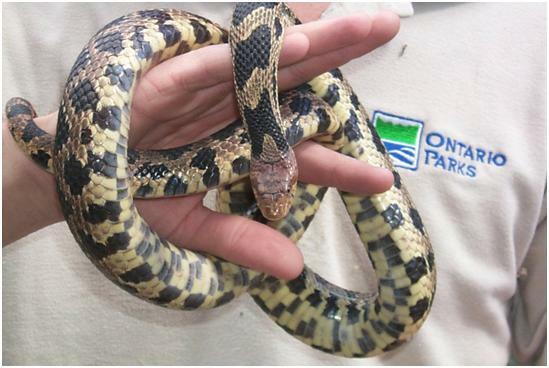 In 2001, Awenda Provincial Park launched a study to learn more about the presence and status of the Eastern Fox Snake on the Penetanguishene Peninsula, and nearby Giant’s Tomb Island, which is also part of Awenda Park. By the end of year one, the study confirmed the presence of four Eastern Fox Snakes within the study area, and established a strong public education and outreach program within the surrounding cottage communities. The objectives of the 2002 season were to continue to locate and monitor critical fox snake habitat, to gather biological data – including blood samples for future genetic study, and to continue to promote a high level of community awareness through educational programs, publications, and media. A diverse group of volunteers including other snake researchers, biologists, park staff and community residents aided with the project and complimented the efforts of the two person research teams. Approximately 50 fox snake sightings were reported to the Park during the course of the study. Of these, five were new historical accounts, 14 were classified as unconfirmed but probable Fox Snake sightings, while ten were “confirmed” sightings. Four of the confirmed sightings led to the capture of a Fox Snake. For the purposes of the study, a report was determined as “confirmed” if a fox snake has been captured and/or positively identified by program staff or knowledgeable persons, including photo identification. Several of the recorded reports originated from outside of the study area, but are considered critical for future conservation. A total of five adult fox snakes were captured within the study area during the 2002 season. 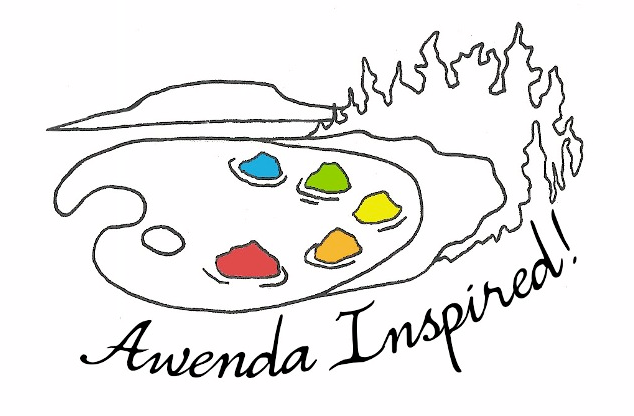 Awenda Provincial Park and Eastern Fox Snake conservation continues to benefit from the positive outreach program started a decade ago. Local residents continue to call the park with their sightings and photographs which has greatly enhanced our knowledge about this reptile and its connections to the nearby 30,000 Island archipelago. If you see an Eastern Fox Snake, take a photo and contact the Natural Heritage Education Department directly at 705-549-2231 ext.228. Please consult the research brochure and poster for keys to identifying this ‘threatened’ species.